California Tan has simplified your cleaning regiment with their fantastic Cal Care Professional Cleaning System. 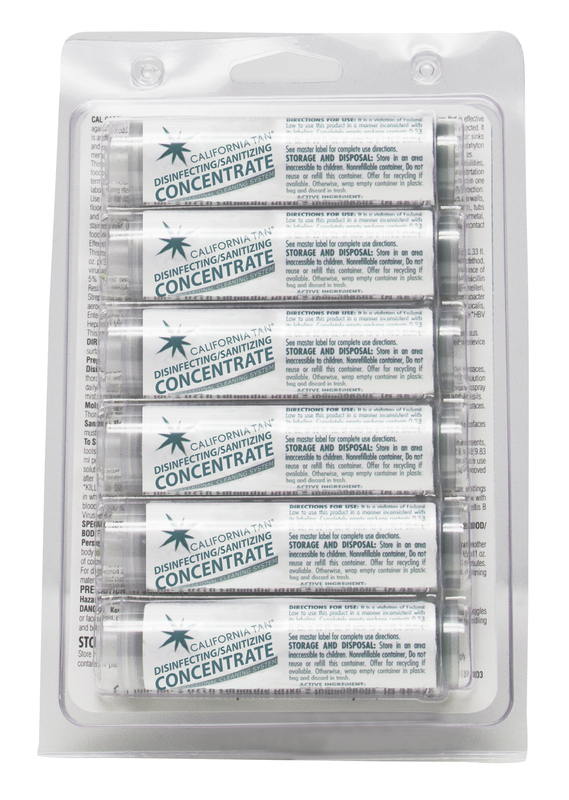 Try this EZ-DOSE-IT 6 pack of AcrylicSafe, Antibacterial Bed Cleaner. Works best with AcryliSafe High-Output Spray Bottle, sold seperately. Cleaning has never been this easy!